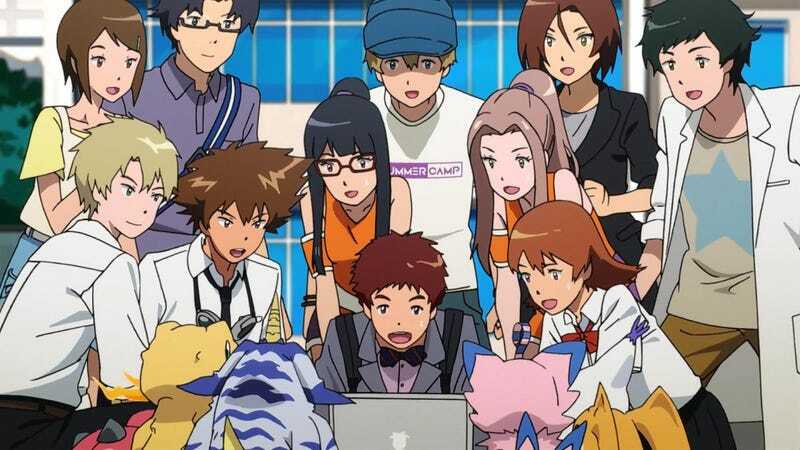 The 15th anniversary of Digimon Adventure, the OG anime, came with the surprising announcement that the original characters were making a return for one last romp through the digital world in a series of 6 movies that have been released over the last couple years. I mostly have enjoyed each movie - the first couple movies were fun and fanservicey with the actual conflict taking a back seat for the most part, allowing for the reintroduction of characters and some character development as they “got the band back together”. Probably the biggest shortcoming with Tri was the fact that the movies were released over a period of almost 3 years, with the first in November 2015 and the very last in May of this year. I found it difficult to remember important details, or even remain excited for the new movies. Who the hell is Homeostasis? and Yggdrasil? Why is Gennai a bad guy now? I remember something happening to Tai, but I can’t for the life of me remember. Wait a minute, what the hell is that? The biggest take-away from all of this is that this was a much more mature Digimon Adventure than any other, directly targeting those who watched and loved the original way back in the ‘90s. Not without it’s shortcomings, mind you. This is not a Digimon Adventure for your 10-year-old. In the lighter moments, Tri was genuinely pretty funny, at times heartwarming, and in the darker ones it was even pretty grim. It dealt with some serious topics like the actions of the Digidestined having far-reaching consequences. Rather than them simply playing big damned heroes, we saw them falter at times, not because they did not believe in themselves or the power of friendship but rather for much more mature reasons - like the impact their decisions might have on those around them beyond even their loved ones. Even the villain, Yggdrasil, and to an extent, Homeostasis, were not your run-of-the-mill pure evil bad guys. Heck, we don’t even know what they look like, and their motives fall in a grey area on the spectrum of morality. All Yggdrasil wants is to keep humans out of the Digital World, if that means destroying the real world, so be it. Homeostasis wants only to achieve balance, if that means crippling the entire world’s infrastructure by resetting and erasing every bit of data within it, so be it. The third option was not an easy one, and not without consequences or some very tough decisions and sacrifices for the Digidestined. It’s not something I realized or appreciated until I actually thought about the climactic battle a little more. I don’t want to spoil that, for those who have not watched. Overall, I had a pretty good time with Digimon Tri and think that anyone who loved the original will probably enjoy it too. I won’t go so far as to say that it’s a great anime, but I would venture to say it’s a good watch, but not really if you have no exposure to the series. Good new for those who loved it and noticed a few loose ends- there is another movie in the works, this time taking place 5 years after the events of Tri. How do you feel about Tri? How about another Digimon Adventure, this time with the gang in their 20s? Let me know what you think in the comments!